James Frey wakes up on a plane, with no memory of the preceding two weeks. His face is cut and his body is covered with bruises. He has no wallet and no idea of his destination. He has abused alcohol and every drug he can lay his hands on for a decade - and he is aged only twenty-three. What happens next is one of the most powerful and extreme stories ever told. His family takes him to a rehabilitation centre. And James Frey starts his perilous journey back to the world of the drug and alcohol-free living. His lack of self-pity is unflinching and searing. 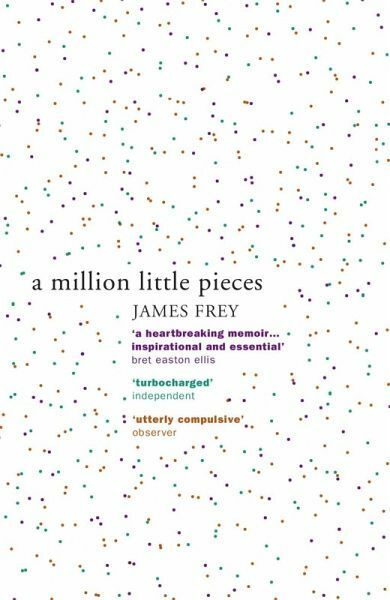 A Million Little Pieces is a dazzling account of a life destroyed and a life reconstructed. It is also the introduction of a bold and talented literary voice. 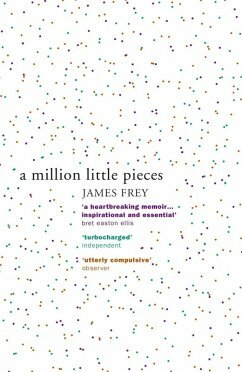 If you liked A Million Little Pieces make sure to preorder James Frey's new book, Katerina. James Frey is originally from Ohio. His books A Million Little Pieces, My Friend Leonard, Bright Shiny Morning and The Final Testament of the Holy Bible have all been bestsellers around the world. He is married and lives in New York.